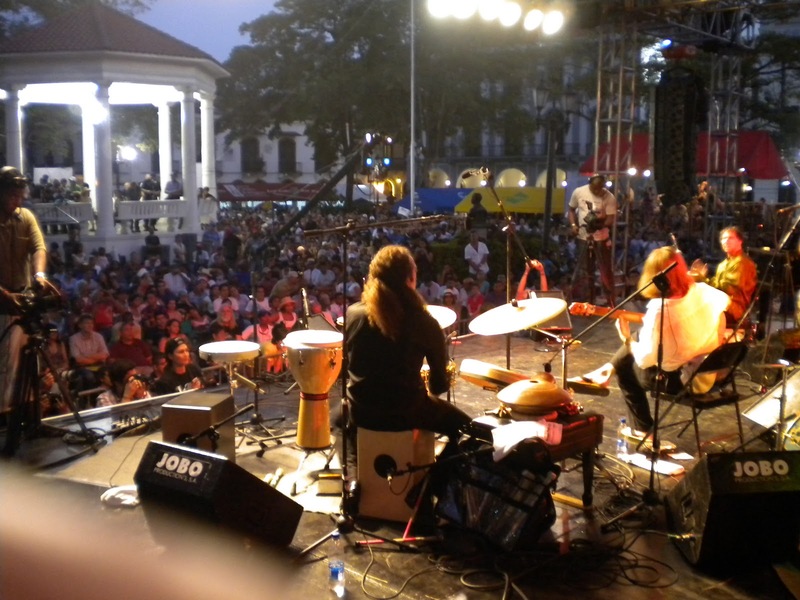 On January 12-17, 2015 the annual Panama Jazz Festival, one of the region’s largest music education events held in Panama City, marks its 12th anniversary. Since its foundation in September 2003 by Panamanian Grammy-winning pianist Danilo Pérez, the festival has become a cultural tourist attraction by drawing audiences from across the globe with up to 100,000 people attending each year, as well as numerous international jazz musicians. Danilo Pérez, who is not only founder of the festival, but also UNICEF Goodwill Ambassador, Cultural Ambassador of Panama and founder of the Berklee Global Jazz Institute at Berklee College of Music, describes his mission as “inspiring and educating while providing tools and opportunities to build a better future for individuals and their communities”. Since music education is a great part of the festival, a week full of several master workshops at the so-called “Music Clinics” will be provided again this year by some of the best music institutions and by all invited artists. At the clinics, students from all parts of Latin America and the world will come together to learn from the international masters of jazz music. Artists such as Wayne Shorter, Chucho Valdez, Jack De Johnette, and Randy Weston have given lectures at the festival in the past years. In addition to this, Panamanian Folklore, classical music, production, and many other subjects have been taught.